Learning to communicate through play. Mobile SLP services to your home in King and Snohomish counties. Evaluation and treatment for a wide range of disabilities including voice, vocal cord disorder, augmentative/alternative communication, help with programming AAC devices, ASD, learning disabilities, corporate communication, stroke and TBI. Please contact me to make an appointment. Paula Baerenwald is a speech-language pathologist in Federal Way, WA. Practice Type: • Self-Employed Practice Areas: • Speech Language Pathology • Accent Modification Take the next step and contact Paula Baerenwald for a consultation in Federal Way, WA or to get more information. Sandra Hirsch is a speech-language pathologist in Seattle, WA. Practice Type: • Related Professional Org Practice Areas: • Speech Language Pathology • Accent Modification • Voice Disorders Take the next step and contact Sandra Hirsch for a consultation in Seattle, WA or to get more information. Joanne Fenn is a speech-language pathologist in Seattle, WA. Practice Type: • Hospital Practice Areas: • Speech Language Pathology • Laryngectomy • Neurogenic Communication Disorders • Swallowing disorders • Voice Disorders Take the next step and contact Joanne Fenn for a consultation in Seattle, WA or to get more information. Robert Shields is a speech-language pathologist in Puyallup, WA. 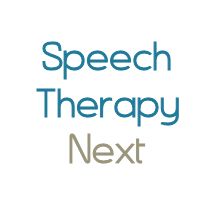 Practice Type: • Office Practice Areas: • Speech Language Pathology • Speech Therapy Take the next step and contact Robert Shields for a consultation in Puyallup, WA or to get more information.